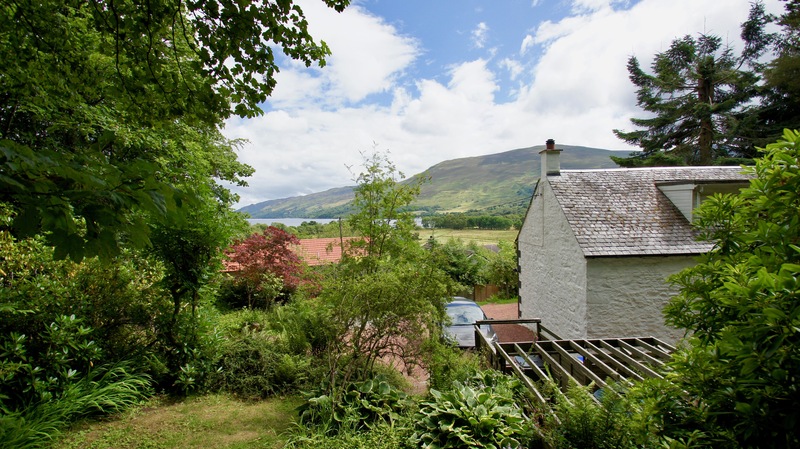 View Cottage offers family self catering holidays in Lochearnhead. 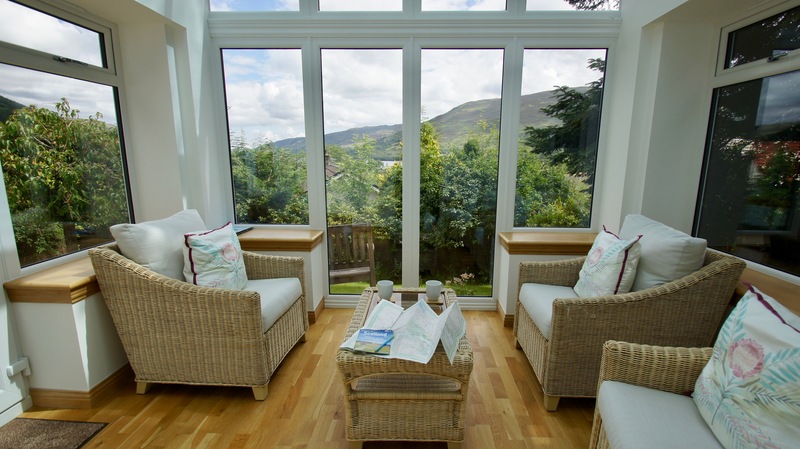 Situated in the Loch Lomond and Trossachs National Park with views towards Loch Earn, it provides accommodation for up to four people in one double and one twin bedroom. A well equipped kitchen, seperate dining room and spacious sunlounge to enjoy the summer nights. During the winter months there is a cosy lounge with wood burning stove. Walking the Rob Roy Way is a popular pastime with visitors or cycling along the route 7 cycle path. Loch Earn is popular for fishing and watersports during the summer months. Our local 9 hole golf course at St Fillans welcomes guests all year round. The village store is a short walk away. Access to the property is up a steep driveway with concrete tracks. Parking is available adjacent to the cottage. There is level access to the cottage and stairs to the second floor. To the front of the property is a sloped garden and outdoor seating. There is also a garden area to the rear with pond. We ask that children are not left unattended. The entrance to the cottage is into a well-equipped country kitchen with modern appliances, fridge-freezer, electric cooker, microwave, kettle and toaster. Through the kitchen is the separate dining room, with table and seating for four. 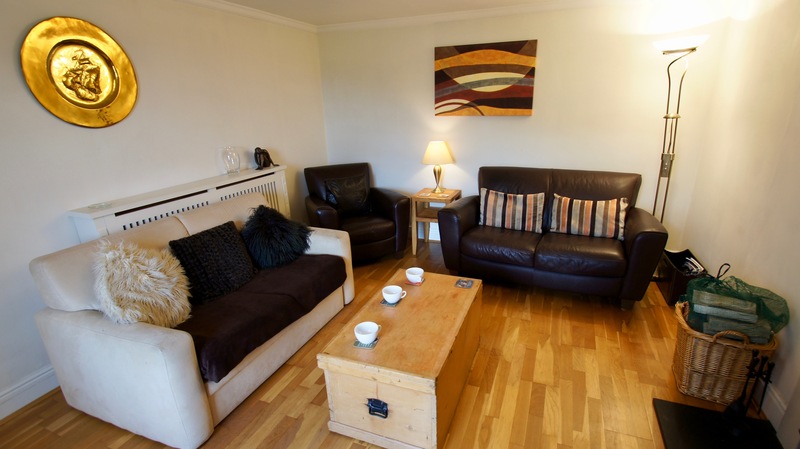 There is a lounge with log-fire, sofa seating and television with DVD player. 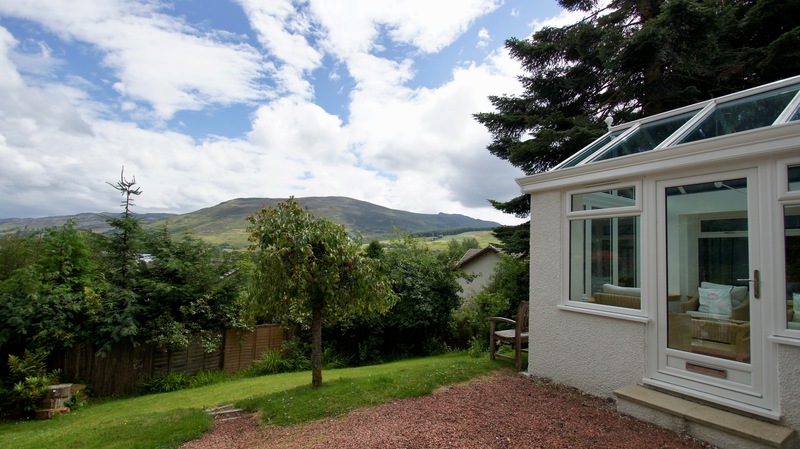 To the front of the house is a sun-lounge with seating and views towards Loch Earn. The downstairs bathroom contains a bath, sink and toilet. Upstairs there is a double and twin bedroom. 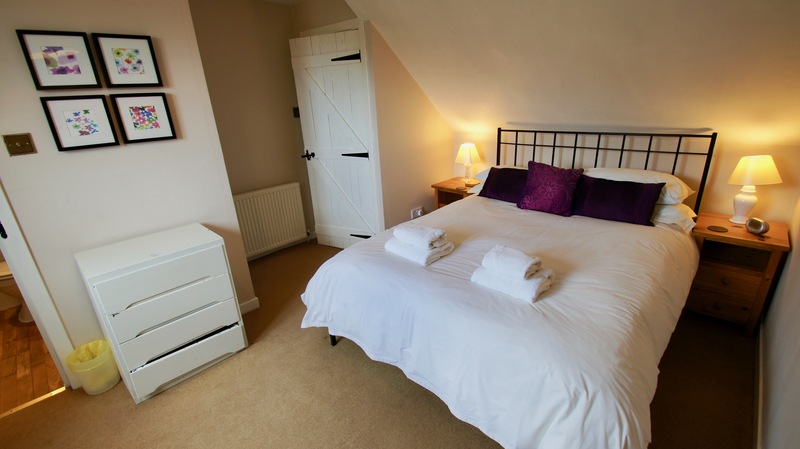 The cottage is a short walk from the village store and access to the National Cycle Network Route 7 with miles of scenic walking or cycling between villages of the National Park. Nearby Loch Earn is popular for fishing and sailing and there are two restaurants in the village. Store cupboard containing condiments, herbs and spices. ​Access to View Cottage is up a private drive. There is a pond in the garden to the rear of View Cottage. Children must be supervised at all times.